Brought To You Exclusively By Samsung. 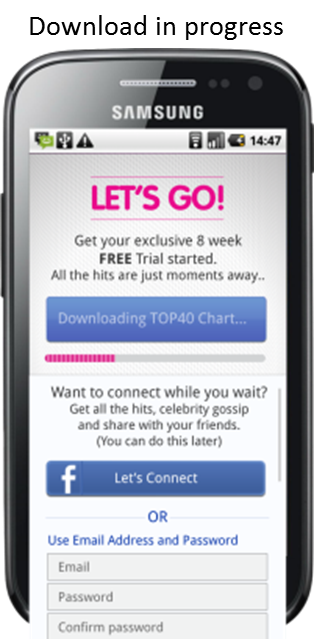 Brought to you exclusively by Samsung, this fantastic new mobile music service delivers instant, unlimited plays of the latest Official Top 40 Chart hits PLUS celebrity news and fantastic bonus tracks updated every day! WHERE DO I GET IT? - Search “Official Top 40” on Google Play! Download the App and Install it too your phone. Once done your ready to go! This is the good bit ~ You now get FREE tunes and not only that. You get the Top 40 which means you will get the Best Tunes! I'm so excited by this App as I LOVE My Music. Tunes are my life! The UK's Top 40 Hits are right there for you to play over and over again! You can listen to your favourite tunes as many times as you like! Everyone will get an amazing free 2 month trial. If you're like me and worry about how much things will cost after the free trial ends well there's more good news. If you wish to keep using it, which I'm sure you will. It's just £1 a week! That's a bargain. What tunes will you be listening too? I've already had my own little pop party with a bit of Carly Rae Jepsen ~ Call Me Maybe and Nicki Minaj. You can check out Hot Tracks & Latest News including new upcoming tracks, old favourites, exclusives and live recordings. There's one more feature which I love! 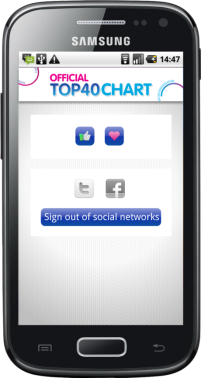 You can share what your listening to on your social networking stream Twitter and Facebook at the simple touch of a button. How cool is that, I know I'm going to be sharing my track choices with the whole world. So what are you waiting for?? 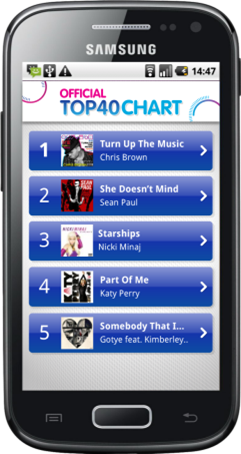 Get The Official TOP40 Chart App NOW and get down to your favourite Tunes. Watch this space to see what I'm listening to over the next few days. There's going to be a serious party going on.